…the most influential and powerful family in the Renaissance? And that in the 19th century was the cabinet of the first Prime Minister of the newly established Italian nation? 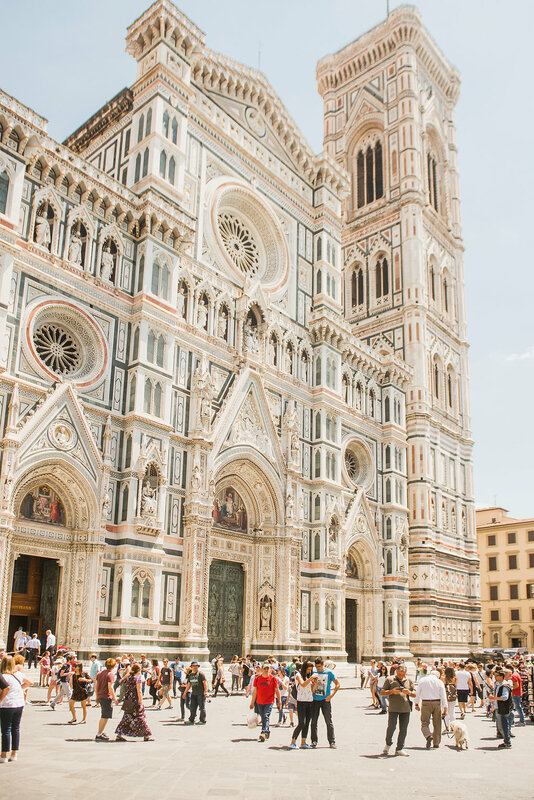 Well, this dream will become reality if you choose Florence as your wedding venue. 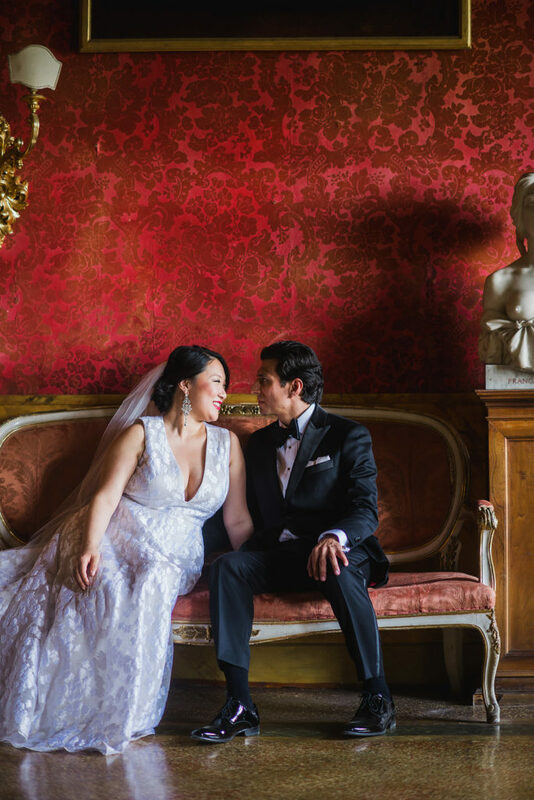 In fact, civil weddings are solemnized inside Palazzo Vecchio – the center of power at the times of the Renaissance and, today, the City Hall. Here, in the Renaissance, Lorenzo de’ Medici ruled over the entire world. Today, it accommodates the government offices of the City of Florence, and the Sala Rossa where civil weddings are celebrated (for detailed information on civil weddings please see the Civil Weddings section). The bride can reach the wedding venue on a horse-driven carriage, which will take her around the beveled stone pavement roads of the historic center. 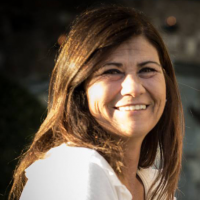 Upon her arrival at Palazzo Vecchio, she will be escorted along a monumental staircase to the second floor of the palace. Her gaze will be astonished upon stepping into a marvelously furnished room, with red velvet tapestry on the walls and shining chandeliers. This is the famous Red Room, where the bride and groom will exchange their promise of eternal love in a magical atmosphere of times gone by. This room is outstanding for its furniture that literally brings one back to the opulent Renaissance style. The structure of the building allows for the bride’s arrival without being seen by her fiancé beforehand. As tradition has taught us, a photo tour cannot be missed after the ceremony! Florence offers a thousand and one panoramic spots where to immortalize a kiss of the newlyweds. Whether you choose to go for a walking photo tour, or aboard a private car with driver, your imagination will not be disappointed. After your wedding in the Sala Rossa, you can walk beneath the arcades of the worldwide acclaimed Uffizi Gallery, the home to the world’s greatest collection of Italian Renaissance art that displays masterpieces by Sandro Botticelli – for instance, The Birth of Venus or the Primavera – or by Piero della Francesca, Michelangelo, down to Caravaggio, just to name a few. The U-shaped Uffizi Gallery connects the Palazzo Vecchio in Piazza Signoria to the Pitti Palace passing through the Vasari Corridor, that runs right above the Ponte Vecchio. This bridge hosts goldsmith workshops and jewelry boutiques. Its shop windows display the best or goldsmith creations. But this is not exactly the same panorama that one could enjoy until 1593, when the Grand Duke Ferdinando Medici decided to have jewelers’ shops established here, replacing butchers’ shops. As said above, the Corridor that Vasari designed above the bridge was the walkway allowing members of the Court to go from the Palazzo Vecchio to the Pitti Palace, the residential dwelling of the lords of Florence. At the time, the bridge was crowded with butchers and tanners. The stench of rotting meat was certainly not ‘prestigious’ for the smell of the Grand Duke, who ordered that all of the ancient stores be replaced by more elegant goldsmith crafts shop. The rule was respected since then and never changed. No one, over the course of the centuries, attempted to change a single inch of this marvelous tradition. Here, you can still find the finest wedding rings you have ever dreamt of. Your stroll can either continue southward and head for the Pitti Palace, or northward and reach for the Cathedral Square, where the Duomo and the Giotto bell tower soar majestically. On your way, why don’t stop for a delicious gelato? Legend tells that gelato was invented in Renaissance Florence by Bernardo Buontalenti, therefore what better place to try Italy’s famous delicacy than in its birthplace? And immortalize the newlyweds in an unusual and fun picture while tasting a cup of cream or sensual chocolate? Besides the historic center, Florence offers many panoramic spots. A must is a stop at Piazzale Michelangelo with its replica of the David by Michelangelo statue, literally an outdoor terrace over Florence skyline. Here, you will appreciate a direct view over all of Florence monuments. The perfect place to have a refreshing toast with champagne in sun-blessed days. Right above the Piazzale Michelangelo soars the Basilica of San Miniato, with its white marble façade. Your talented photographer will take the most memorable of black and white pictures on the majestic white marble staircase that leads up to the Basilica. Florence is a little coffer of art and history, where to crown the dream of a lifetime, where to go for wedding dedicated shopping. For instance, unique wedding rings can be bought in the goldsmith crafts shops in the city center, and more specifically on the Ponte Vecchio. Not to talk of Florence cuisine for a tantalizing wedding dinner. Whether you are accompanied by a large wedding party, or you are eloping, many solutions can fit your choice. You can have a romantic lunch or candlelit dinner on a private terrace or garden, or a sumptuous banquet in a villa or a hotel. Whatever your budget and your taste, your wedding planner will create the perfect bespoke atmosphere.